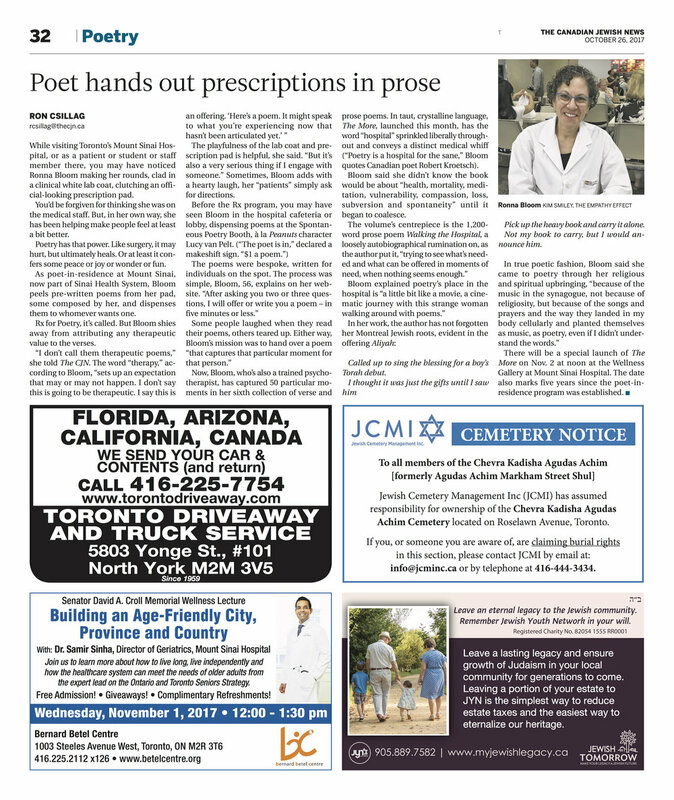 Ron Csillag of the Canadian Jewish News and I spoke about my work at the hospital. He wrote this generous piece. "Alternate Ways of (blanking) Poetry"